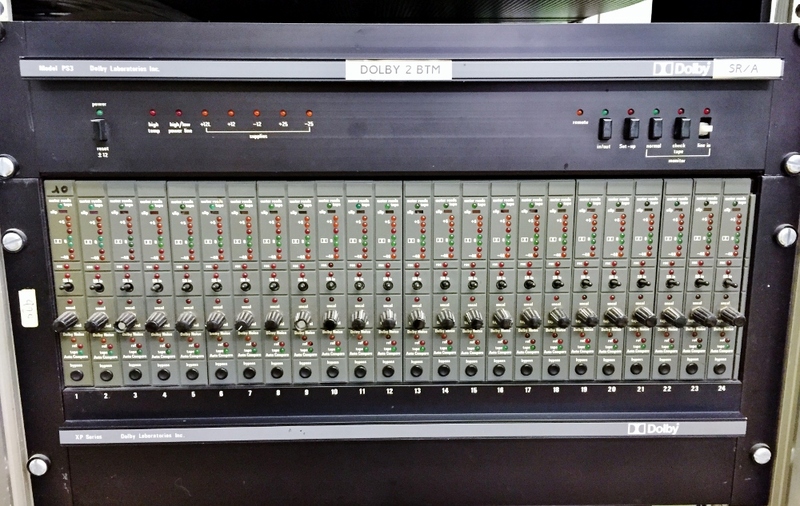 Dolby SR allows the user to gain digital performance from analogue tape. As more users are revisiting analogue by using multitrack machines we are starting to sell more Dolby systems, apart from the high performance provided by the SR system it also saves money as you can make professional quality recordings running the multitrack at 15 inches per second when using Dolby SR whereas if you wish to make professional recordings without using noise reduction you have to run the multitrack at 30 ips. With 2" tape costing around £ 200 per reel and providing around 20 minutes recording time when running at 30 ips. your tape costs are around £10 per minute. Using Dolby SR you can run the machine at 15 ips so you get approximately 40 minutes recording time halving your tape costs to around £ 5 per minute. If you do not know about the different versions of Dolby Noise Reduction CLICK HERE and read the explanation as published in Sound on Sound in 2005.